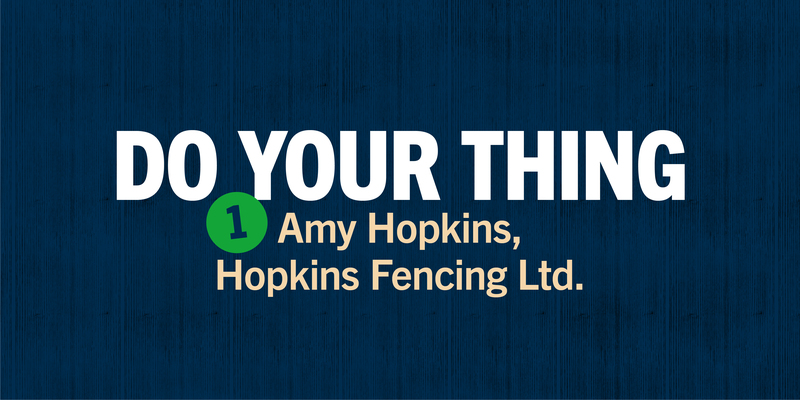 We started our family fencing business in 2013 and today we work for a great set of commercial and residential customers all along the south coast. Getting on top of our admin has made such a huge difference to us – it’s actually helping us win more jobs and keep growing. At the start, we got by raising quotes and invoices in an old Excel spreadsheet. We were entering everything manually again and again. It looked so unprofessional and took up so much of our time. We knew we had to find a better way of doing things – and that’s when we came across YourTradebase. When I first saw YourTradebase, I was impressed by how user friendly it was. There wasn’t a lot of jargon and being able to see what it offered before you even started the trial was a big bonus for me. I’m fairly tech savvy but my husband isn’t so much, so the fact that he could use the system straightaway was great. Now we use it every single day and it absolutely saves us time, 100%. Before, if we were raising a quote or an invoice, we had to manually enter each material into a spreadsheet, look up prices in another spreadsheet, find things in different folders… it just took ages. We can get things done so quickly now, saving all our materials and prices to use again. It’s not just about what we can do with that time – it’s about actually winning more work.Because of how quickly YourTradebase lets us get quotes to customers, and how professional they look, we’re standing out and looking more professional. We can literally go and see a customer, pop back to the office, write a quote in four or five minutes and they’ve got it there in their inbox. With trades, that plays a really big part in winning jobs. So, it absolutely pays for itself – you’ve only got to win one extra job and that’s paid for the software for a year if not more. It’s a really, really good site and it’s very mobile friendly too. That’s great for us because when you’re running your own business you’re often sitting at home talking through what’s coming up the next day. Having it accessible on your mobile makes that so much easier. With a lot of desktop software, you’re restricted to only using one computer, but you can use YourTradebase on any computer, tablet or mobile – anywhere you’ve got the internet. I like being able to see when customers open our emails. Every so often you’ll chase someone for payment and they’ll say they haven’t had the invoice, but we can see on the system when it’s been delivered and read. It’s amazing how quickly the money finds its way into your account when you tell people that! For me, that’s brilliant. The customer service from day one has been outstanding. Ten out of ten isn’t enough to describe it and believe me I don’t give out praise easily! So often in life you come across people who don’t do their jobs properly or you have to battle with seven different departments to get some help. That’s just not the case with YourTradebase, they’re amazing. I’m always asking questions and they literally get back to me within an hour – you just don’t get that kind of customer service anywhere. It’s honestly the best system we’ve ever bought into. I’m always recommending it. For the same price as a couple of takeaway coffees a month, what you get from YourTradebase and what it can help you do to grow your business – it’s amazing. A massive thank you to Amy for taking time out to chat to us, and for all the great feedback. We’re really happy to be helping you do your thing. 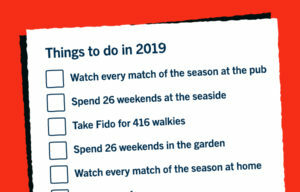 We’ve crammed 52 extra days into your 2019. You’re welcome.